Duane Ludwig and Amir Sadollah training in Holland (Dutch Muay Thai) PICS 2011/2012? Discussion in 'UFC Discussion' started by Meulenhof, May 28, 2014. They were training at the Combat Sports Academy under Marco van den Broek, a dutch MMA trainer who is the only trainer to coach 2 fighters while they won TUF (Roy Nelson and Amir Sadollah). I can also see bang using Marco's style of Kickboxing thats really cool! 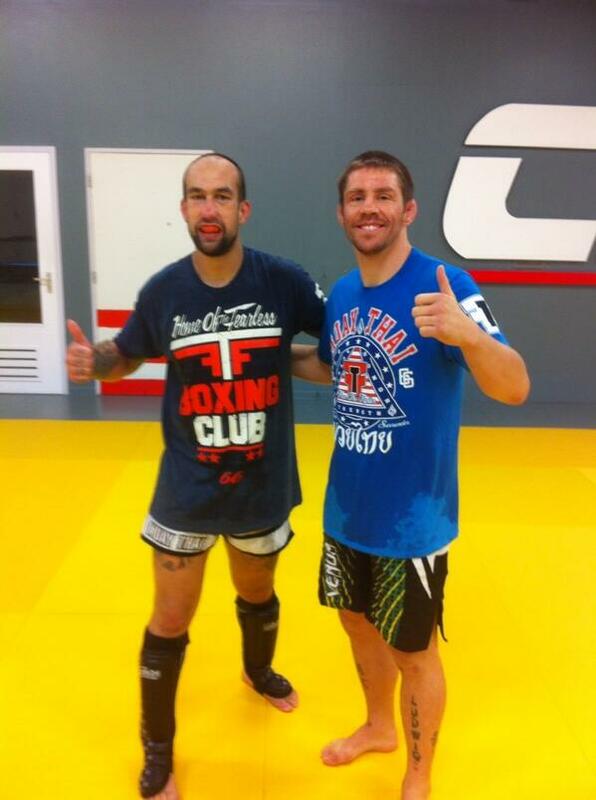 Duane Ludwig training at CSA in The Netherlands. Inb4 NidNoi comes in this thread and says its Karate and not Muay Thai. yes that is so true lol!